Questioning the provisions in Companies Act, 2013 relating to setting up of National Company Law Tribunal (NCLT), a 3 judge bench of the Supreme Court referred a batch of petitions challenging its constitutional validity to a larger bench. The bench headed by Justice T S Thakur questioned provisions of the newly-promulgated Act which give power to the Centre to suspend and sack members and Chairpersons of NCLT and National Company Law Appellate Tribunal (NCLAT). Reportedly, the bench, also comprising of justices R F Nariman and Prafulla C Pant observed orally - "You (Centre) are taking away the power from the High Courts and giving them to the tribunals whose members or chairman can be suspended by you. "The fact that they can be suspended raises questions as to how they will be able to function independently while dealing with matters involving the Centre. "Moreover, suspension is also a stigma. Don't you (Attorney General) think that this should also go to the constitution bench for an authoritative pronouncement,". Attorney General, appearing for the Centre, defended the provisions submitting that the members and Chairpersons can only be removed with concurrence of the Chief Justice of India and "if CJI cannot uphold the principal of natural justice, then who will?" "You know the judges can be impeached and can't be suspended," the bench said. To this, the AG replied that "impeachment has not worked." 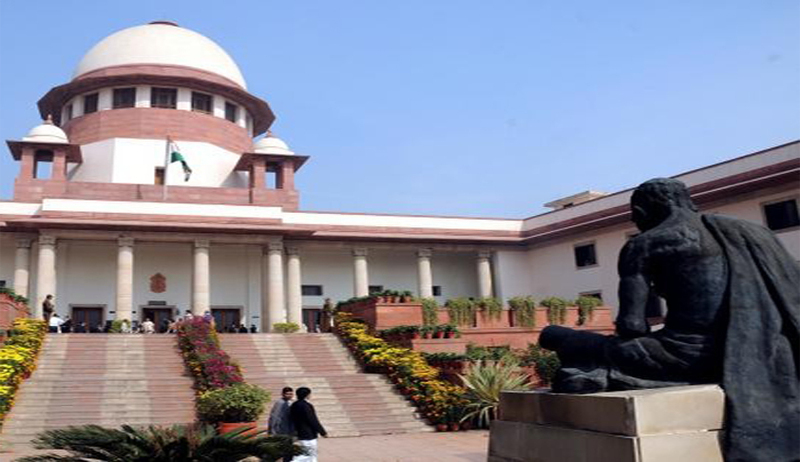 The bench was hearing several pleas including one filed by Madras Bar Association challenging certain provisions of Chapter XXVII of the Companies Act, 2013 which deal with the constitution of the NCLT and NCLAT. During the hearing, it referred to the verdict of a five -judge bench last in year in another petition which had declared the National Tax Tribunal (NTT), set up to decide tax-related cases, as unconstitutional on the ground that the Act encroached on the "exclusive domain" of superior courts. Interestingly, the current petition and the petition to strike off NTT were earlier clubbed together but were later detagged by the Supreme Court. The NTT judgment authored by Justice Nariman (also a member of this bench) and Justice Chelameshwar dealt in detail with the emergence of Tribunalization in India and how the judicial power of courts has been curbed by transferring cases to tribunals under direct supervision of the executive. The judgment also dealt in detail Article 323A & 323B along with the doctrine of separation of powers. The bench said the challenges in the petitions were "akin" and hence, they should be sent to the CJI for being put before a larger bench.